We saw a little snow this week but haven't had a big snowstorm in a long time. Will that change? There’s a lot of buzz around town regarding next week’s snow potential. At the gym yesterday, (yeah, every once in a while I lift a weight or two) I overheard a conversation where two feet of snow was being thrown around! Let’s tap the brakes here folks. First of all, over the weekend, a Nor’easter is going to threaten us. Yup, you heard that right. A juicy storm races out of the south up the East Coast. 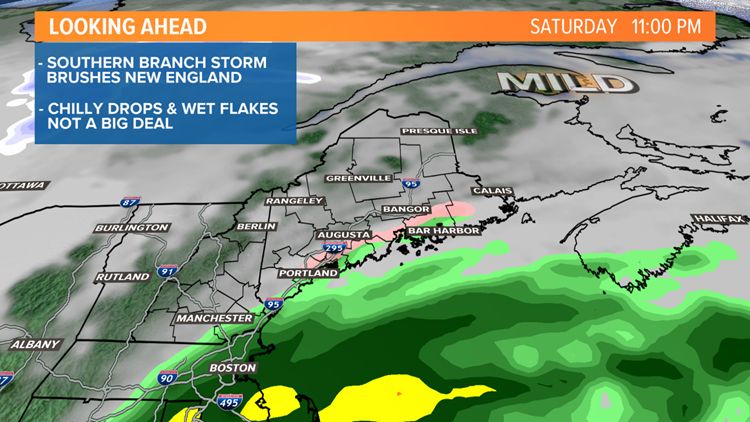 Upper level winds will steer the brunt of the storm offshore, but it’s looking like we’ll get brushed with some precipitation Saturday afternoon and night. 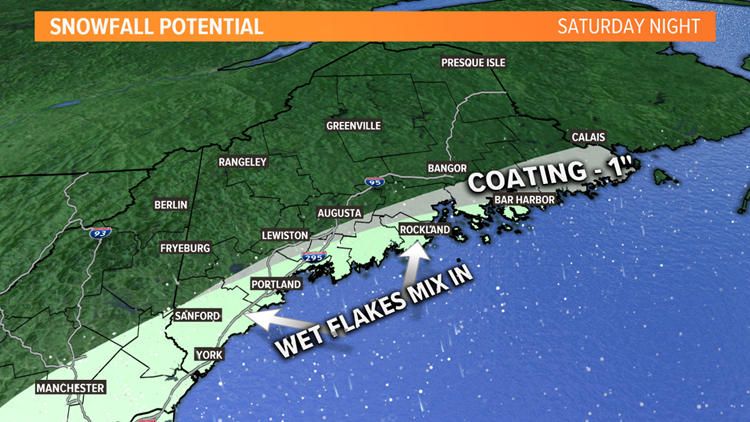 Now the atmosphere is going to be very warm for early January so getting snow out of it will be tough, but some wet flakes may mix in at night and slushy coatings are very possible, especially Downeast. So, I’ll be honest, I’m skeptical about getting a big one next week. I’m not saying it can’t happen, I just don’t like what I’m seeing right now. The biggest issue is in the mid-levels of the atmosphere. There’s a decent piece of energy that moves through Tuesday but for a big Nor’easter to develop it would need to be much stronger and sharper to slow the whole system down and get it to bomb out. So as of now, several inches will fall, but getting much more than 6” will be tough. 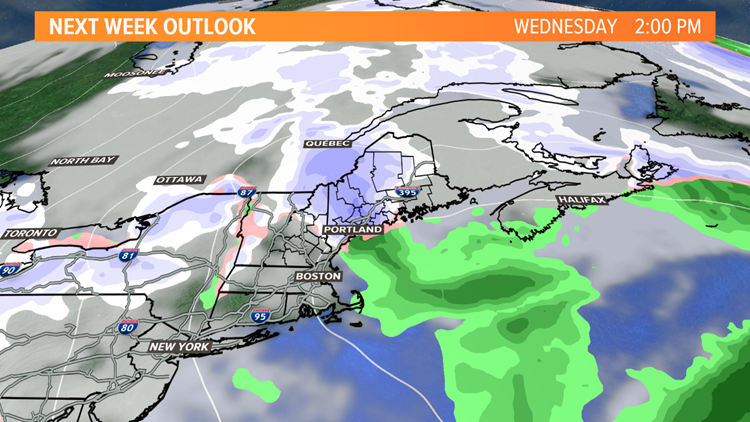 Making things a little more interesting is what happens Wednesday, following that first thump of snow. The broader upper level trough will attempt to interact with the departing surface low. 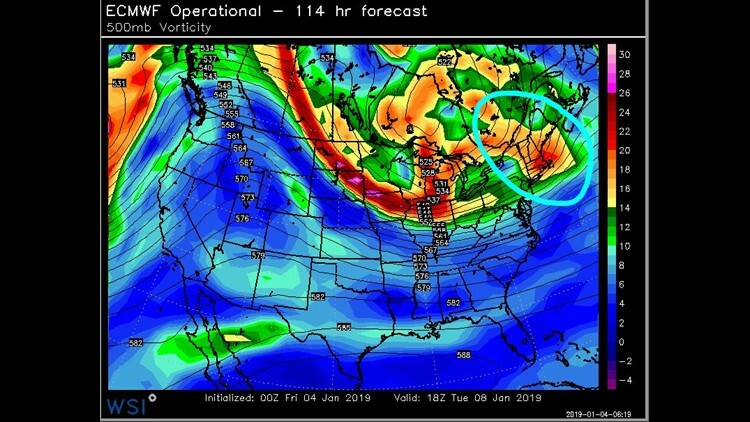 Sometimes this can form into something called a Norlun Trough resulting in locally large snow amounts. These are relatively rare, so relying on its formation is tough. But if it does materialize we could see several more inches. In the end, a lot of things have to come together to get the big one. It’s possible, but I’d bet against it right now. Stay tuned.